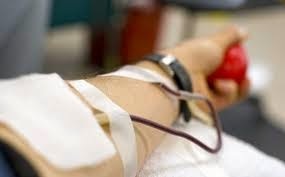 80 Democrats in both the House and Senate have sent a letter demanding the repeal of a discriminatory and un-scientific decades-old ban on gay men giving blood. The letter, addressed to HHS Secretary Sylvia Burwell, spans four pages, plus another five of signatures, and states they are "steadfastly committed to ending the outdated MSM blood donation policy and moving forward with securing the nation's blood supply in a scientifically sound manner". The lawmakers say: "we must embrace science and reject outdated stereotypes". And they add: "Low-risk individuals who wish to donate blood and help to save lives should not be categorically excluded because of outdated stereotypes". 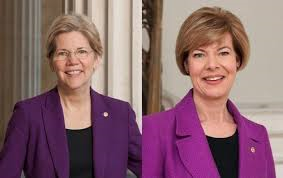 Let's here it for Tammy Baldwin our first openly LGBT Senator. She is from Wisconsin. In addition, there are 6 openly gay members of Congress -- all men. We are moving up in numbers here in the USA.